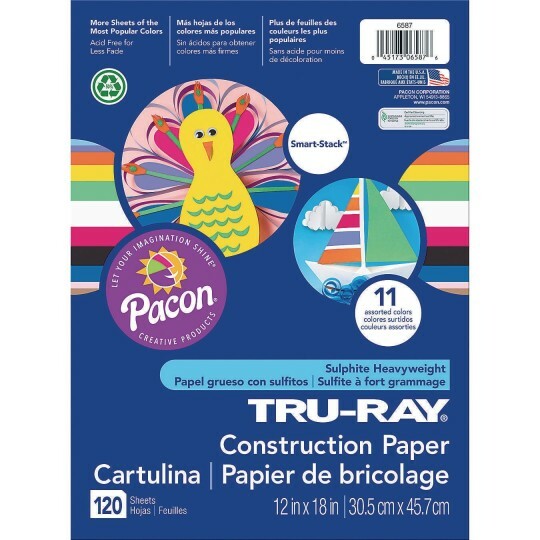 Tru-Ray® Smart Stack Sulphite Asst. 12"x18"
For a variety of projects! 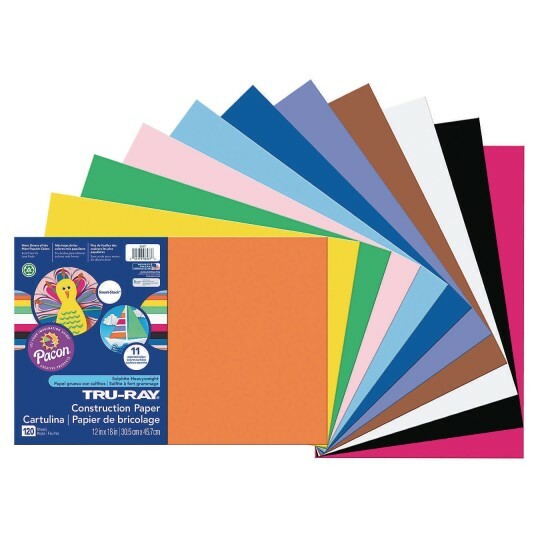 Tru-Ray® fade-resistant sulphite construction paper in a Smart Stack assortment that contains extra sheets of the most frequently used colors weighted by popularity. Assorted colors include white, black, festive green, scarlet, yellow, orange, royal blue, violet, pink, sky blue and warm brown. 76-lb. basis weight. Acid-free. 50% recycled fiber content. Recyclable. 120 sheets.